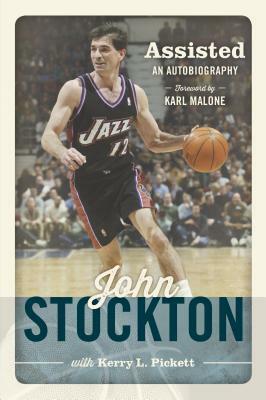 An NBA Hall of Famer regarded as one of the best point guards of all time, John Stockton holds the NBA record for most career assists and steals by a wide margin. Fast, gritty, and a durable player who could read a basketball floor as well as anyone who ever played the game, during his nineteen-year career with the Utah Jazz he was a ten-time NBA All-Star, an NBA All-Star Game MVP, an a two-time "Dream Team" Olympic gold medalist during the '92 and '96 games and in the nearly two decades that Stockton wore #12, the Jazz never missed the playoff season. He and his wife live in Spokane, Washington.